You can use Gravity Forms with Wordpress and automatically create new leads in Táve thanks to the Táve Gravity Forms Integration plugin. 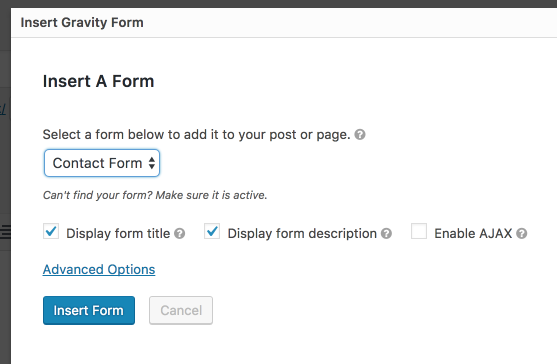 Gravity Forms is a paid Wordpress plugin. You can find more information about pricing here. If you're looking for a free alternative, consider Contact Form 7. Once installed, you'll need to activate the plugin and enter your support license key which should have been included with your download from Gravity Forms. Click Install Now to install it and then click the Activate button. From the Forms menu on the left, go to Settings › Táve. There you'll find fields for Táve Studio ID and Táve Secret Key. You'll find that information in your Táve account at Settings › New Lead API. 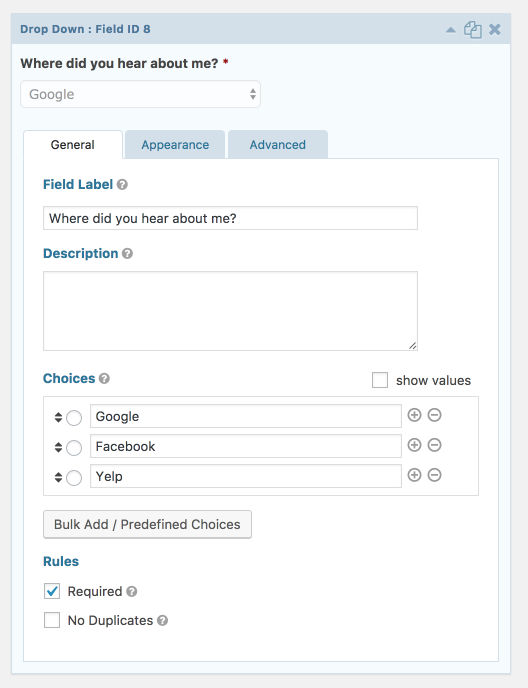 Once you've retrieved it, copy the values into those empty fields in Wordpress and update settings. From the Forms menu on the left, select New Form. You'll be prompted to give your form a title and a description. You can just call it 'Contact Us' or 'Contact Form'. 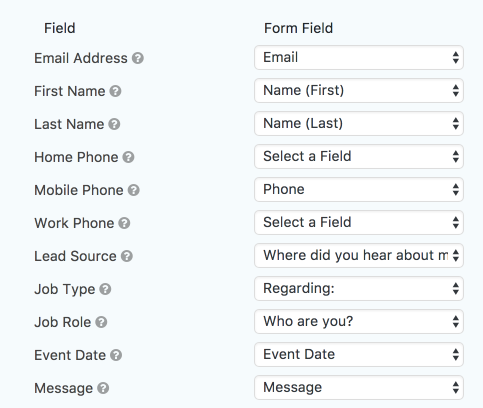 Most contact forms should include Name, Email, Phone Number and Message field options. In addition, you should add three dropdowns: 'Regarding', 'Who are you?' and 'Where did you hear about me?' (You can specify what exact words you'd like to use). These will be REQUIRED for the integration with Táve. 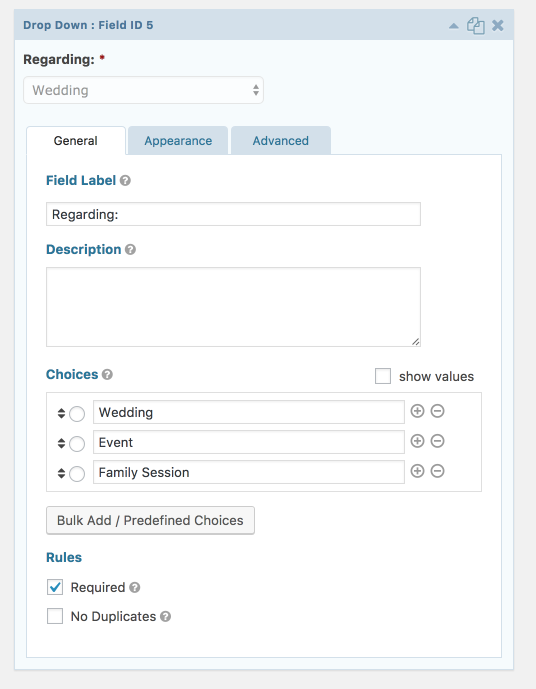 You can also add a Date field to get the event date. This is for Job Type. You'll make a drop-down selection of the specific Job Types a client can inquire about. ***EXTREMELY IMPORTANT*** The options you put for Job Type must match EXACTLY what you have in Táve under Settings › Job Types. This is for Job Role. 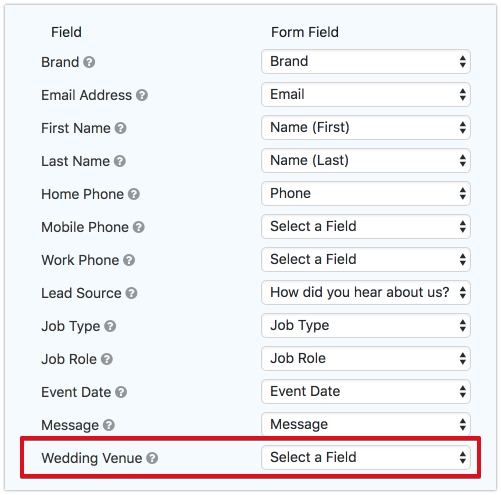 Much like the Job Type field above, you'll make a drop-down selection of the specific Job Roles a client can have. Again, these options much match exactly what you have set up in Táve in Settings › Job Roles. This field is for Lead Source. You'll make a drop-down of specific Lead Sources. These options should match what you have set up in Táve in Settings › Lead Sources. Be sure to Update Settings to save your changes. Go to the Wordpress page you've designated as your contact page on your website. At the top, there is a button for 'Add Form' from which you will select the Gravity Forms form you built previously and insert it into the page. Publish the page and then visit it. You'll see your new contact form and you can test it by filling it out yourself. The new lead should appear in Táve. You're done! 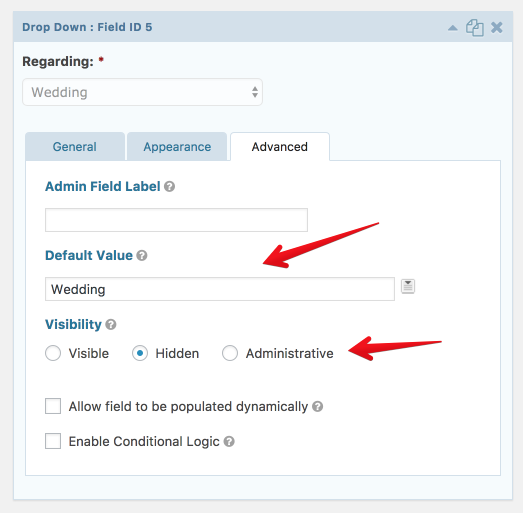 You can create custom fields in Settings › Custom Fields to collect additional information beyond the standard field. 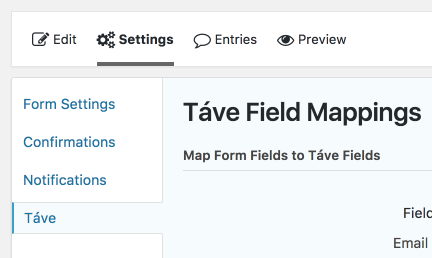 Once you create those fields, they will show in your Táve Field Mappings settings in Gravity Forms, where you can map them to the field you've built for it in your Contact Form. 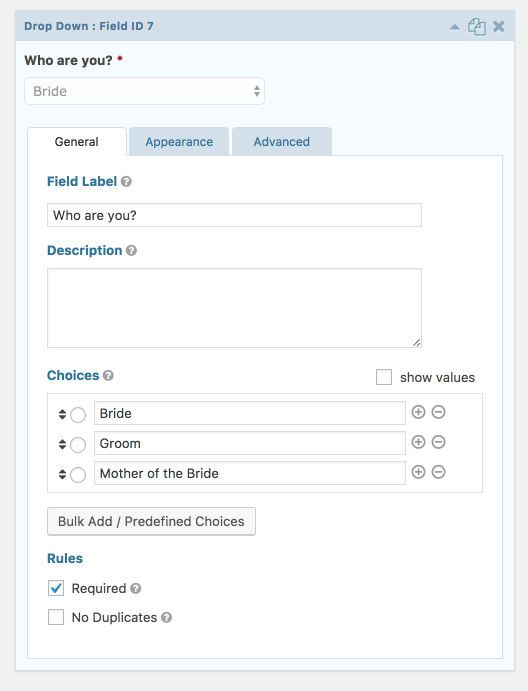 You can use this same concept for Job Role, if you always want to assume someone with the job role of Bride is filling out the form, for example. That's it! You're all set up. If you have any specific questions about this integration, don't hesitate to reach out to us at Support.